This has got to be one of the most unusual Holmes match-ups of all time. 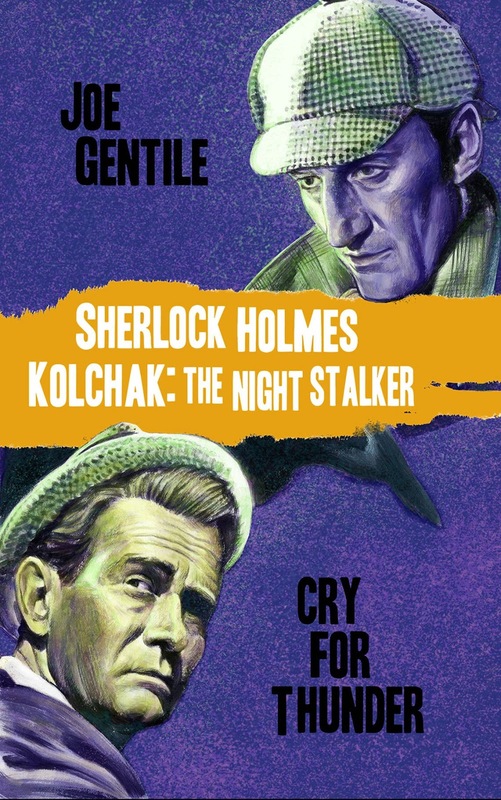 Kolchak: The Night Stalker was a popular TV show in the 1970s starring Darren McGavin as reporter Carl Kolchak who uncovers paranormal mysteries and his fair share of monsters. First released in 2014, this is the just released paperback edition. BASED ON TRUE EVENTS... a historic unveiling! Not a dream, not a hoax, not a parallel universe! Two of the most unique investigators of all time try to untangle the same mystery... one hundred years apart from each other! The lawless Wild West; the hidden world of Victorian London; the present-day hell of Hollywood... there... and back again. Follow Holmes' trail of a man who was wrongfully - and willingly - imprisoned, to shocking New World Order anarchy, to a beautiful woman who needs Kolchak to delve into the surreal past, to the shunned man who has the key!